Satisfy your soft drink craving and make you beautiful? Korean beauty brand The Face Shop may just succeed in doing so by collaborating with everyone’s favourite fizzy drink Coca-Cola to launch a makeup line. 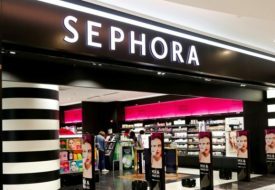 And the range doesn’t patronise with just one or two makeup pieces that were slapped on with some sort of coke flavour before calling it a day. 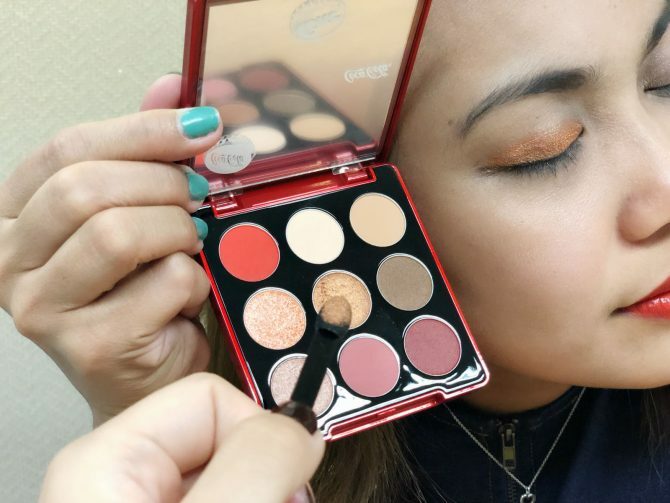 Instead, the Coco-cola-branded collection is much more comprehensive, comprising a cushion compact, powder pact, five cream lip tints, five lipsticks, three gel lip tints, and an eyeshadow palette. Sporting the brand’s iconic fire engine red, the collection offers shades and pigments that are equally as eye-catching such as bold reds from the lipsticks and eyeshadow palette’s blinding shimmers. 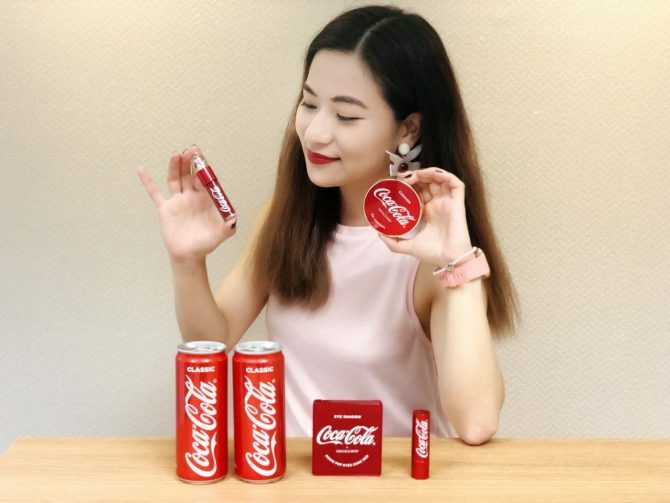 In particular, the gel lip tint, also called Coke Polar Bear Lip Tint, sports an adorable packaging, featuring a cute polar bear living in a globe on the cap! 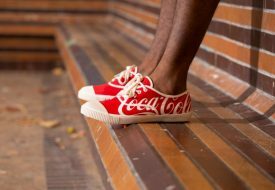 The common thread that runs in this collection is that colours tend to be quite bold and striking, which is given with Coco-cola’s in-your-face branding of happiness and celebration. Featuring nine shades, Mono Pop Eyes eye-shadow palette range is pretty striking. We talking cheery, bold colours with a shimmering finish. Neutral shades are considerately added in so that you can pair them with the bolder colours. The Face Shop X Coca-cola collection is available at The Face Shop outlets.